Nielsen also said she will be temporarily reassigning 750 Customs and Border Protection agents to "address the influx of migrants" in certain areas. On Friday, President Donald Trump threatened toseal the border if Mexico did not end illegal immigration. A senior DHS official would not rule out such a move, but qualified Trump's remarks by saying the agency would reserve the right to stop traffic over certain ports of entry temporarily. 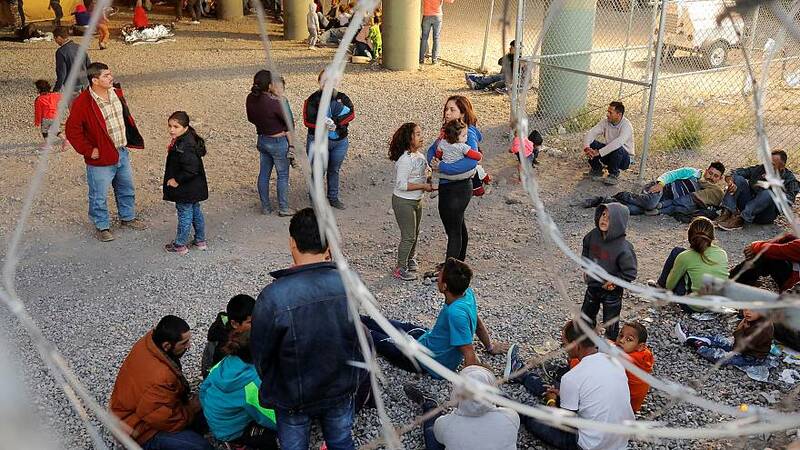 Currently, CBP officers and agents have the authority to turn around asylum seekers crossing in the San Diego and El Paso sectors, under a policy known as "Remain in Mexico" or Migrant Protection Protocols that requires immigrants to stay in Mexico until their court date in the U.S.